In the beginning of February, WhatsApp has released a new update for the iPhone users and now the bug is coming out in this update, which makes the app open without any face ID and Touch ID. 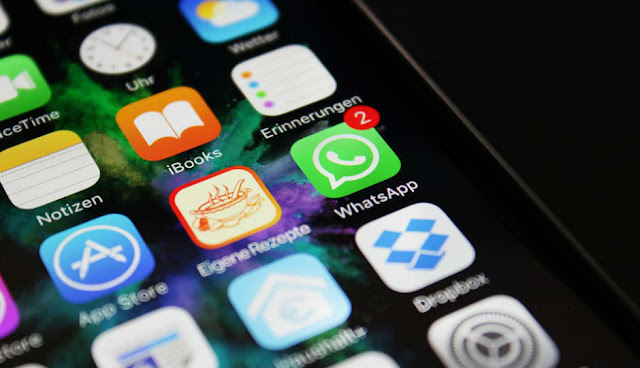 In early February, WhatsApp released a new update for iPhone users, which comes with some new features, and this update also includes support for biometric authentication for Face ID or Touch ID. A bug has exploded within a few days of the update rollout. According to some media reports, this bug comes with updates, so users can access WhatsApp ID without Touch ID and Face ID. Whatsapp also responded and said that this problem will be resolved soon. This bug was first caught by a red user de_X_ter. Reddit user said that this new update comes with a bug and also explained that this bug only comes when users go to the Biometric Authentication option by going to the Settings tab. This bug is now only seen in iPhones. Whatsapp is also going to release face ID and touch ID biometric authentication feature for Android users soon. Whatsapp is offering to its iPhone user that can secure the app with Face ID or Touch ID. This Authentication feature can be set up by going to the Whatsapp settings option. While setting up the feature, some options will be displayed on the display in which you can choose how much time you have locked WhatsApp. These options include immediate, after 1 minute, after 15 minutes and after 1 hour. Reddit said that, when you use the WhatsApp extension in another app, this WhatsApp bug is activated. If you choose any other option except Immediately option and open WhatsApp via iOS Share Extension, then the app unlocks without the App Touch ID or Face ID authentication. In addition, if you come directly to the Home screen and open Whatsapp from Separately, the app will be open without any security.